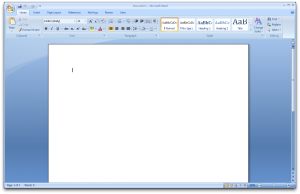 Microsoft Office is a de-facto standard. The discontinued version for OS X has an appalling interface, is not very interoperable and lacks the Ribbon interface. The iWorks is not a good solution if most of the people you work with use .docx, and ppt and .xsl. 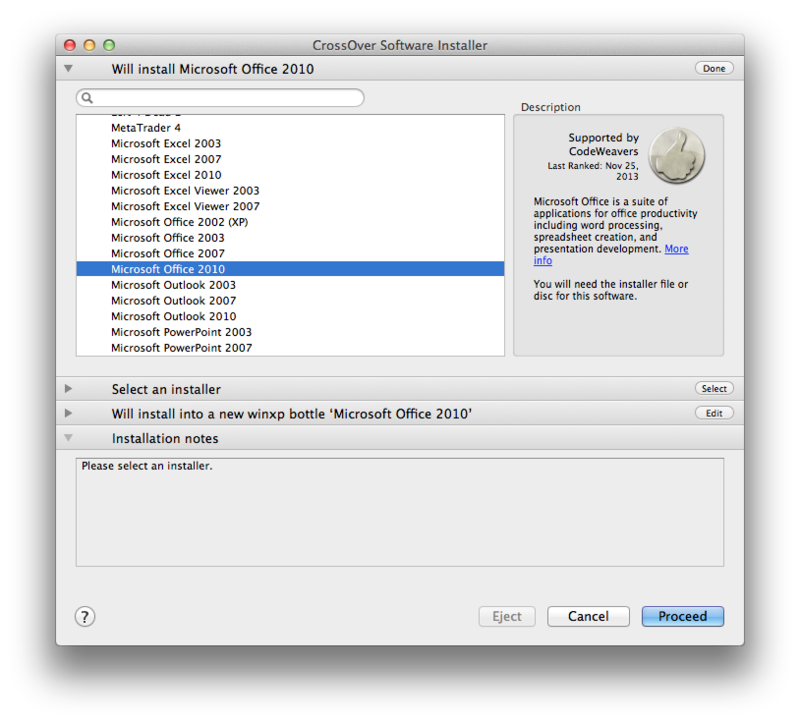 Office 2010 and 2013 are not well supported on wine (just now a preview with 2013 was shown on wine on linux). 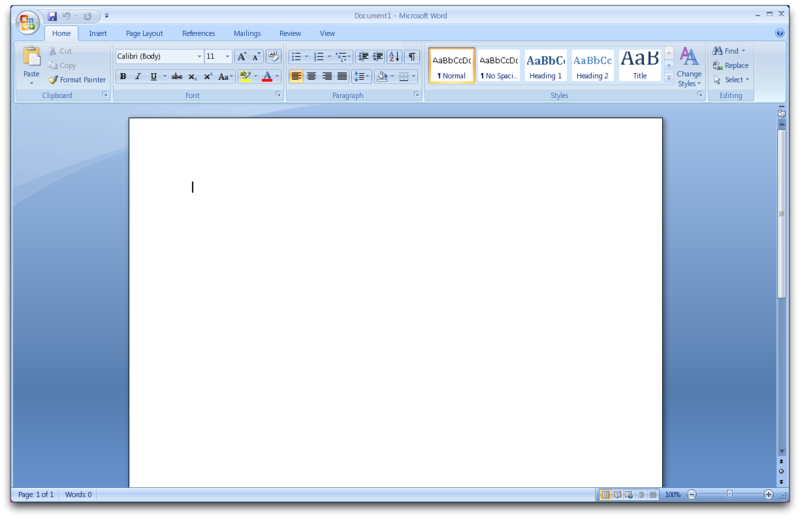 So Office 2007 is used. My criteria: how well it works, how well it integrates, can it print directly, can it use the keyboard layout of the OS X. All the softwares shown are wrappers of wine. printing on an HP printer (first install the printer on the mac, then it appears AFAIK only if default drivers in windows exist) - prints, but crashes the app. most of the built-in installers (IE6, Opera, Firefox...) don't work. Some of them do. Uninstaller on the Q&A page. Doesn't work. You can delete stuff manually. Has a preset for Microsoft Office 2010 that works. Supports the keyboard layout of the host. Sees printers installed with the host (I don't know if drivers are needed). "Open with" works by default. Overall: unfortunately the only one that works fine. 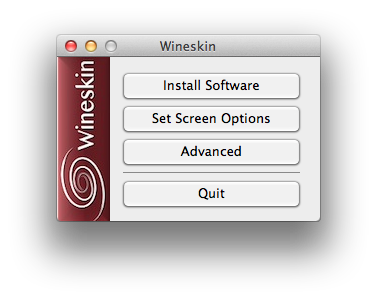 Winebottler has seen a great improvement since the Mac driver was introduced (Bye-bye X11). 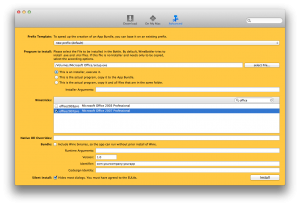 Recently, WineBottler is almost up to par with the open source WineHQ sources. Current version is 1.7.16. Also, recently, the available install scripts seem to work much better. Could be. I don't have the time to retest it. MS Office for Mac "discontinued"?That's the first that I've heard of that! What's your source for this info? Winery seems to have Office 2007 winetrick built in. But i too got stuck on Please insert volume 'OFFICE12'. I have a licensed OFFICE12 DVD, but alas, no optical drive. I don't know where i am supposed to insert it, although i have several amusing ideas. Office is not "discontinued" dude. OS X Office 2011 corresponds to Windows Office 2010. 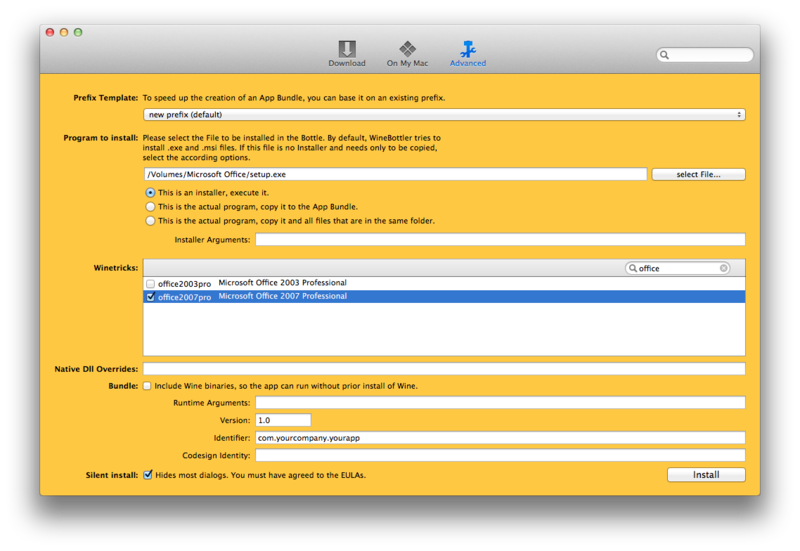 That is to say the OS X version corresponding to the newest Windows Office is not out yet. Plus you have various options like LibreOffice. You can even go to Word online! Totally unnecessary to install a Wine for Office! Hey, I was wondering if anyone knew how to make a WineBottler application recognize my usb ports and built in web cam and stuff, I am using a winebottler prefix to run an android root program and need some help. Well, there's version 14 i believe of Crossover creacked (k'ed) on the web 🙂 Thank God for hackers. And works out well, better then playonmac, which could not render the video part of World of Warcraft. Re: your comment "Thank God for hackers". I'm not a programmer. But I would imagine how I might feel if I spent thousands of hours developing a program only to have people steel it and then give it away to massive amount of people. It would be like you writing a book that has beneficial value to many, investing in publishing, and then someone scanning it to a PDF and putting it on the internet.